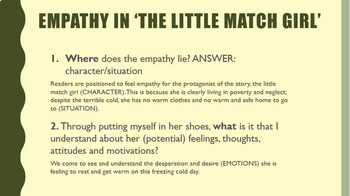 Need to teach 'empathy' and 'controversy' to your Year 12s but don't know where to start? Don't have the time to write a full series of lessons to teach these syllabus terms? Or perhaps you're a new ATAR teacher and need a some guidance about what these terms mean, and how they are articulated? Look no further. This resource bundle is for you! 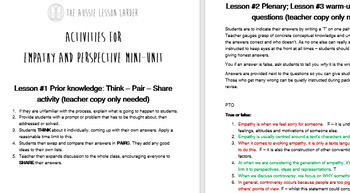 The terms 'empathy' and 'controversy' are often overlooked in our teaching programmes but as recent Year 12 WACE examination questions prove, it is vital that we fully engage with these deceptively simple words from the Unit 4 ATAR syllabus. It is definitely a worthwhile exercise to conduct some intensive teaching of these terms at the beginning of the year and return to them repeatedly as the year progresses, ensuring students don't just have a good understanding BUT can convey that understanding in an effective, knowledgeable way. * a variety of short texts that activities are based upon. 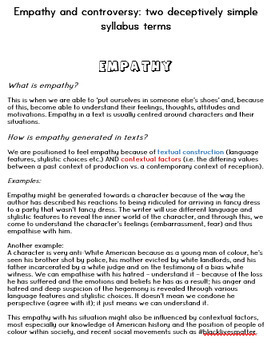 Overall, this bundle aims to gradually build student proficiency when it comes to identifying and discussing the generation of empathy and / or controversy in the texts that they study, and thus they can attempt assessment and essay questions more confidently. 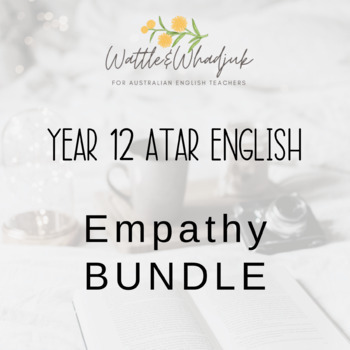 The content of this bundle is targeted at students studying Year 12 ATAR English but also, in the process, offers a valuable 'refresher course' for both new and experienced English teachers.